WatchandWager.com is the newest kid on the US-legal betting block. With corporate offices in San Francisco and a license from the North Dakota Racing Commission, Watch and Wager has all the necessary credentials to offer legal racing betting. Update: We are advising readers that WatchandWager closed their affiliate marketing program without warning, communication and (we assume) final payments. We say “assume” because the closure was so sudden and access to the site so quickly cut off that we were unable to log in and determine what earnings, if any, were owed. Obviously, none of this directly affects you, the player, but character plays a vital role in online racing betting. We feel that if this company was willing to treat its own allies so poorly, it displays a certain type of character with which we would not be comfortable gambling ourselves. This site might still be safe for players, but our opinion is racing fans should stick to wagering at one of our other recommended horse racing sites such as BetAmerica or Twinspires. Due to our own personal experience, RacingBetting.com can no longer recommend WatchandWager. As a consequence, this page is no longer updated for accuracy. Sign up at your own risk. WatchandWager covers more racetracks around the world than any other betting website. The simple interface makes it easy to get started, but you may notice a shortage of advanced features compared to some of the other, more established horse racing sites. It has been interesting to see this racing betting site grow in the face of stiff competition from more established operators. WatchandWager.com differentiates itself by covering more racetracks around the world than any other racing betting site. Not only does Watch and Wager work with most US tracks, but it also has pool-sharing agreements with tracks in Canada, Australia, New Zealand, Japan, Hong Kong, Dubai, South Africa, France, the UK and Ireland. This is a pretty easy bonus to clear, and that alone makes WatchandWager worth a look. Anyone out there trying to build a bankroll or earn a little extra beer money would be well-advised to give this bonus a shot. Note: You need to send an e-mail to [email protected] after you deposit to claim this bonus. Let them know which bonus you want and then make sure you wager at least $50 or $150 within sixty days of signing up for your account. The betting options at WatchandWager.com are simple but extensive. 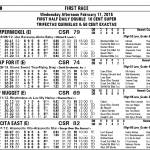 This betting site accepts wagers on thoroughbreds, quarterhorses, harness races and greyhounds. 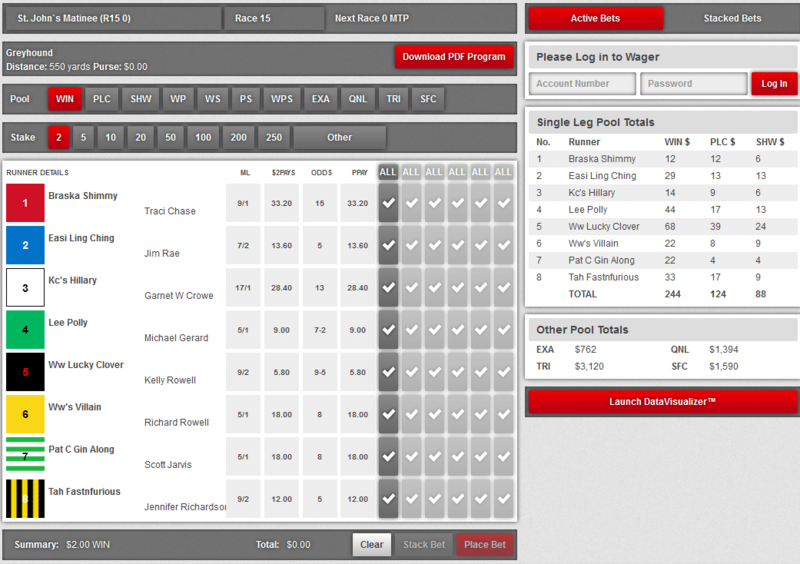 Every type of wager available at the track is available online at the same odds. All wagers are comingled with funds taken at each track, so you are always paid at full track odds. The actual betting interface at WatchandWager is a straightforward affair. Once you have an account and log in, the front page will show you the most imminent scheduled race and display a list of all open wagers. You can also click on the “schedule” tab near the top of the page to see a list of upcoming races. Click on “bet now” next to any scheduled race and you’ll be taken to that race’s betting screen. Each race on the list is also accompanied by detailed past performance data. 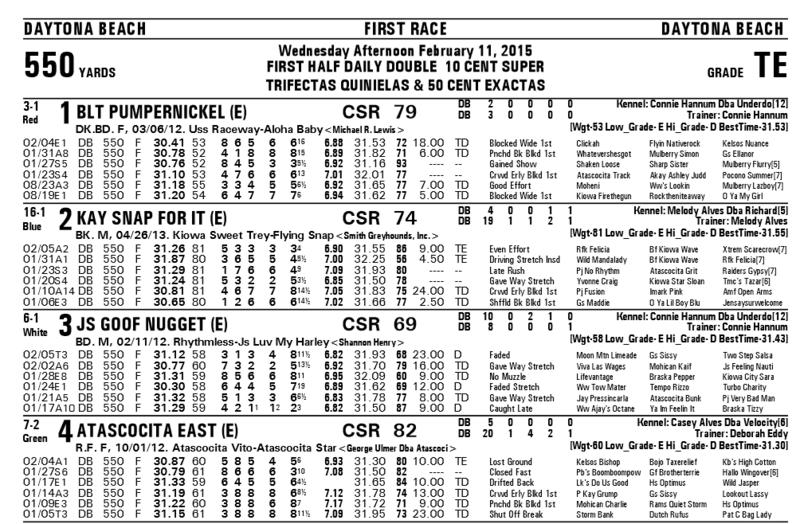 Watch and Wager also uploads racing programs for every race. Once you’re inside the betting screen for any specific race, you can click on “download PDF program” to go straight to the full program. 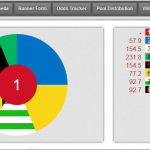 Additionally, each race comes with a handy “DataVisualizer” tool that breaks down the betting handle for each horse and bet-type. The WatchandWager.com website is fully mobile-compatible. All you have to do is point your device to www.watchandwager.com and you’ll get the mobile version automatically. After playing around with the mobile interface myself, I found it very easy to use. Buttons are a little larger and information is organized for easy consumption on limited screen real estate. Debit or Credit Card: Just type in your credit card information and WatchandWager.com will credit your account with the money. WagerCash: This is an online bank transfer that sends money from your bank account straight to your betting account. There are no fees associated with this deposit method. Check: You can send a check in the mail to the WatchandWager headquarters in San Francisco to get started. Choose this deposit method after you log in to your account and they’ll tell you where to mail the check. Cash: WatchandWager.com accepts cash deposits via PayNearMe. All you have to do is take your cash to your nearest 7-11, Family Dollar or ACE Cash Express and they’ll credit your account with the money. See this page for a list of PayNearMe locations. All racing betting sites are required to get authorization from each state in which they want to offer their services. Some states are quite friendly with horse racing betting while other states are staunchly opposed. WatchandWager.com is a betting platform that covers many racetracks. It doesn’t offer much in terms of bells and whistles, but it’s easy enough to use and is operated by a company that holds current licensing to legally accept wagers in the United States. RacingBetting.com holds the opinion that players should choose another company to wager with, and chooses not to reccomend WatchandWager to our readers, your mileage may vary. All statements on this page are for entertainment purposes only, not legal advice or expressed as concrete facts.